Trace fossils are the geological remains of biological activity. One variety of trace fossil which allows researchers the rare chance to study the behavior of ancient animals comes in the form of footprints and trackways left behind from an animals activities. Paleontologists seek to use the fossil record to study ancient life, and trackways can provide details about the life of an ancient organism that would be unknown with only fossil skeletons to study. 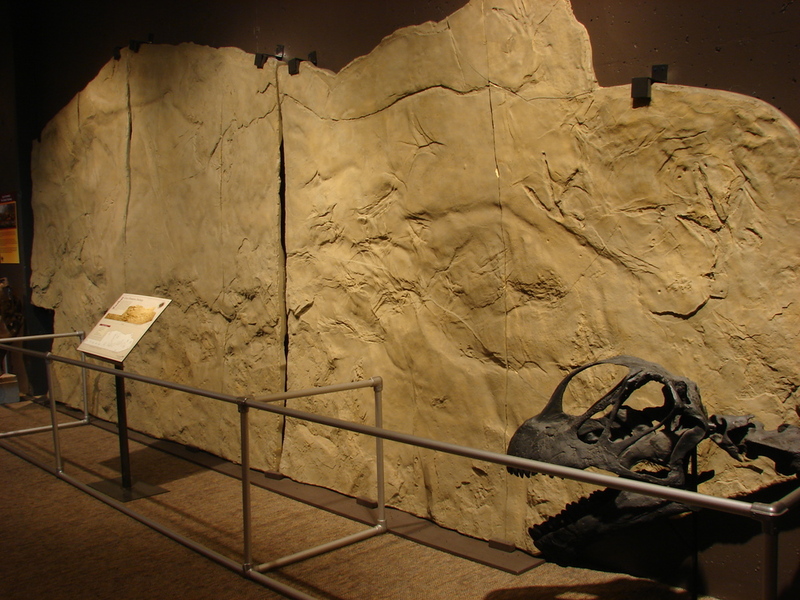 The Zerbst family trackway was excavated in 1996 by a Wyoming ranch family and is considered by researchers to be the single most significant assemblage of latest-cretaceous tracks ever discovered. In all there are are traces from 10 different track makers including two Tyrannosaurs, an Edmontosaurus, Struthiomimus, a pair of Oviraptors, a crocodile and a variety of birds. From this fossil alone, paleontologists are able to glipse as if through a window into a latest-cretaceous watering hole where dinosaurs and their ancient contemporaries were hunting, escaping, swimming and flying through the landscape. Our 30+ foot long specimen was cast from the original fossil which is much too massive to be quarried or moved into a museum. It can be displayed horizontally as it was originally discovered, or mounted as a 2 dimensional display on a wall to save gallery space and allow for up-close inspection of the individual tracks. 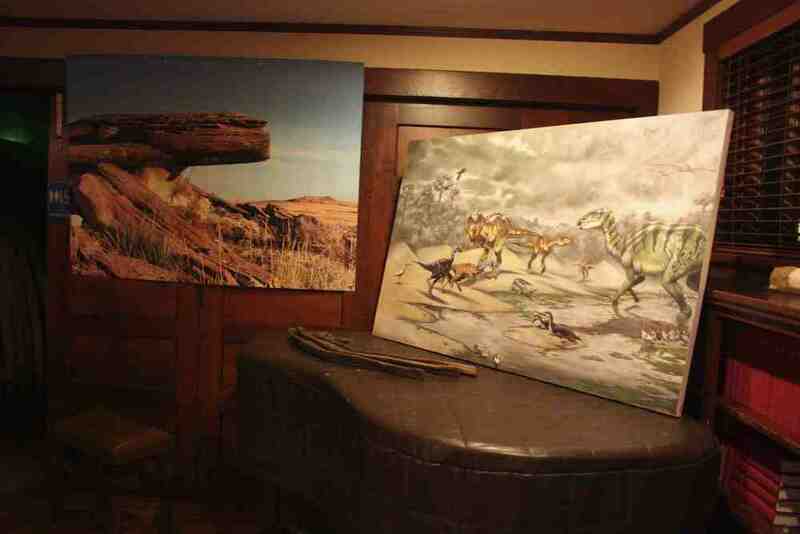 Custom artwork by renowned paleo-artist Patrick Redman brings this scene to life in full color oil-on-canvass and also in digital format for display and promotion in galleries.